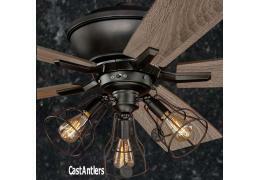 52" Fan Comes as Pictured with Cage Light. * Height of the fan is 21"
Note: If you require a different size downrod, this fan uses a standard 3/4" downrod. 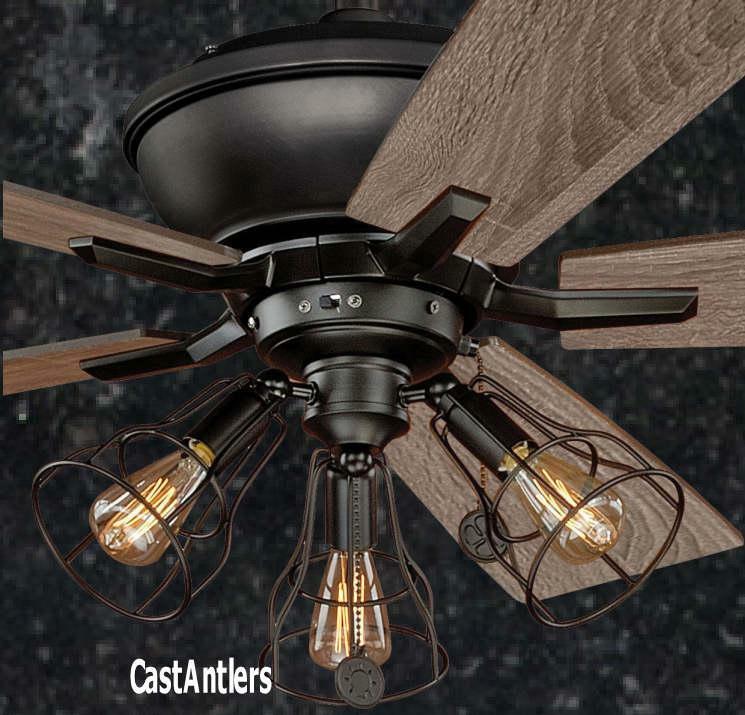 This fan can also be flush mounted (flush mount sold separately-- standard 3/4" diameter size) . This standard size downrod and flush mount adapter kit is available at most hardware stores.